Roaming: It's a word you've probably heard a million times. Voice, data, international, national, there are many contexts in which this word is used but what does it mean? And above all, why should you care? How do I turn roaming on/off? Small premise: Today we will focus on roaming on GSM mobile networks. There are other types of roaming, but they are not of interest to us at the moment. The term roaming literally means to wander, move around, move around. In the telephone environment, this word is used to indicate when a device is connected to a different network (host network) from the one to which it belongs (parent network). The roaming process is divided into a number of steps carried out independently by your device and networks: the main ones are Location Updates for access to the visited network and Mobile Terminated Call (MTC) for call forwarding. Of course, data roaming also uses a special procedure which there is no point in covering in this article from a technical point of view. Please note, however, that from a practical point of view data roaming and voice roaming do not make any difference to you, the most important information concerns the physical connection to the host networks. 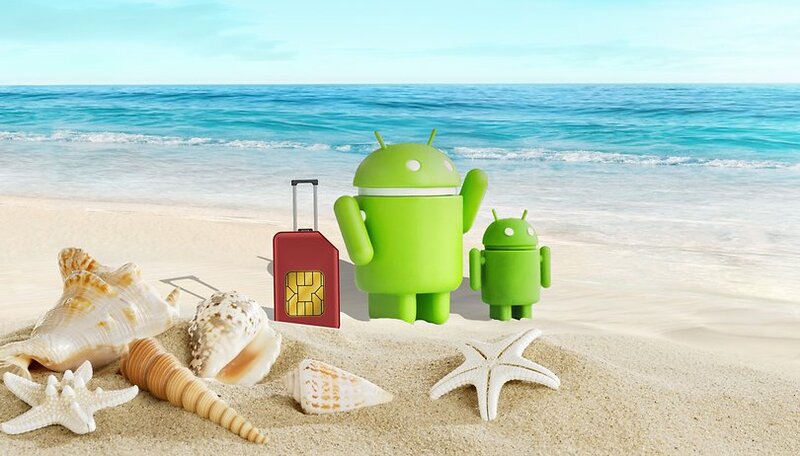 The first step of the procedure for starting roaming starts when the device is turned on, the airplane mode is removed, or the network is scanned for the first time. The device requires the network to be able to connect, but as it cannot find its mother network, the request is sent to a host network. The latter requires certain information from the parent network about the 'third party' user, including the authorisation of the roaming connection. If the checks are positive, the device will be enabled to use the visited network which will forward to the mother network all the requests of the user during roaming. This roaming phase defines the procedure by which a call is made. The process is extremely complex and involves many technologies or procedures with names that are impossible to remember. Just know that it all starts with what is called MSISDN (Mobile Station International Subscriber Directory Number) - the phone number. With this basic information you can understand to which country (country code), which provider (country code) and consequently to which mobile network and which user the call should be redirected. There is also another kind of national roaming that is a bit special. Mobile Virtual Network Operators (MVNOs), also called virtual operators, are obliged to use other operators' infrastructures because they do not have their own antennae. International roaming works more or less in the same way. In the absence of a mother network, the device will connect to a host network on foreign territory. The host operator will check with the parent network for roaming possibilities and, if so, forward all requests from the user. Since 15 June 2017, the EU's zero roaming directive has been imposed on European operators. All European mobile network operators now allow the use of their SIM cards in EU countries at no additional cost. If you have an offer that includes calls, SMS and/or the Internet, you can use it without any worries, even abroad. How do I disable (or enable) roaming? Roaming itself cannot be deactivated. The only two ways to prevent your smartphone from roaming are to use airplane mode or disable automatic network scan and selection. However, what you can disable (or activate if disabled) is data roaming. To do this on an Android smartphone you just need to go to the settings of your smartphone, wireless and network, mobile network and turn off (or turn on) the switch to data roaming. The procedure is very similar on iOS devices. Go into the settings, mobile data, mobile data settings and turn off (or turn on) the switch to data roaming. Do you use roaming often?